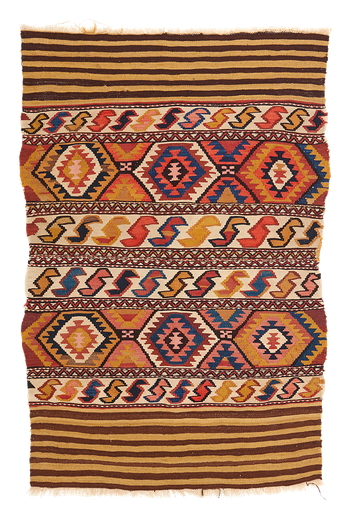 This is an old traditional slit-weave kilim, entirely in wool (even the warp threads) by the Shahsavan nomads. 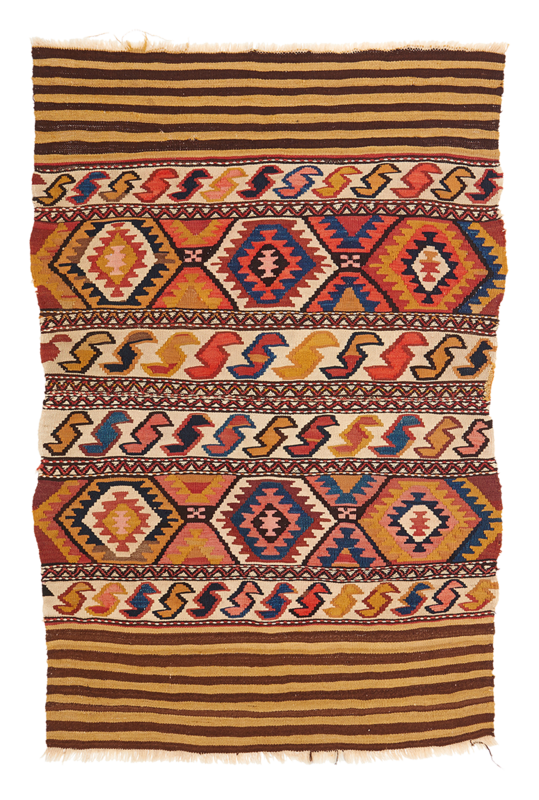 With embroidered details. Wonderful natural colours and in good condition.